Vegans wept protein-deficient tears when street food market The Pump shut a couple of months ago, all for the loss of the incredible What The Pitta. Their prayers have been answered, as What The Pitta has reopened just around the corner, in Boxpark. With this new stall they’ve added more to the menu. 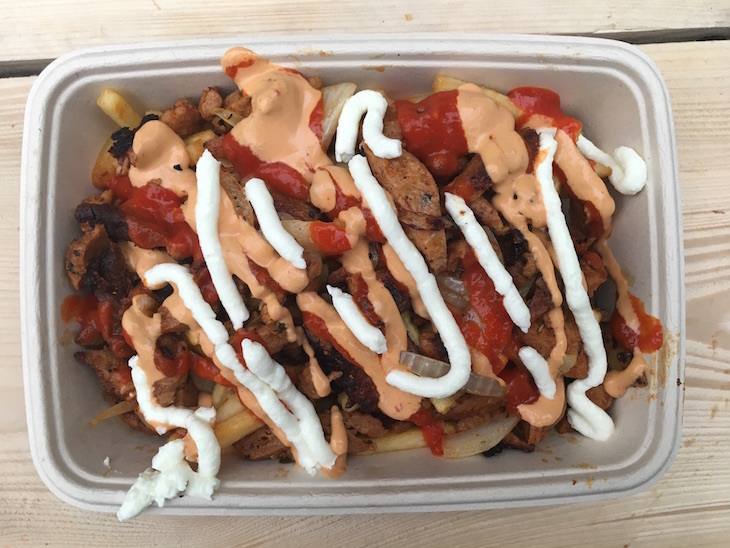 The doner box with “meat” and chips is an attractive form of vegan carbicide for sure. 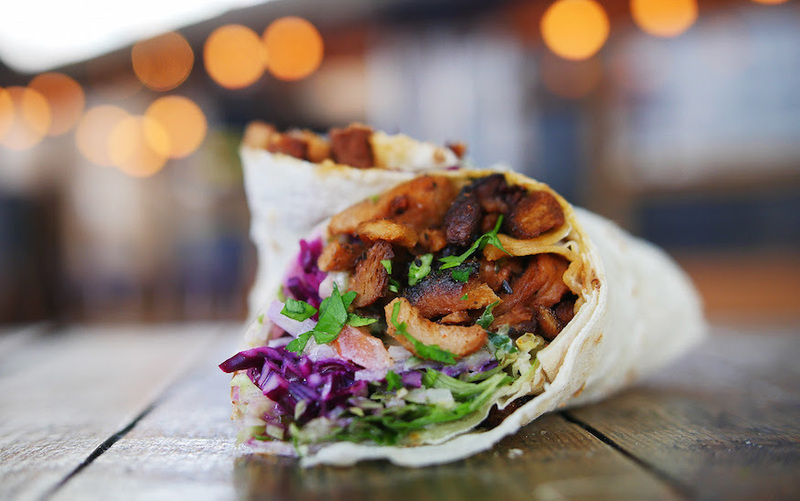 However, for our money it’s still the kebab wrap that tops the bunch, which is both healthier and tastier.